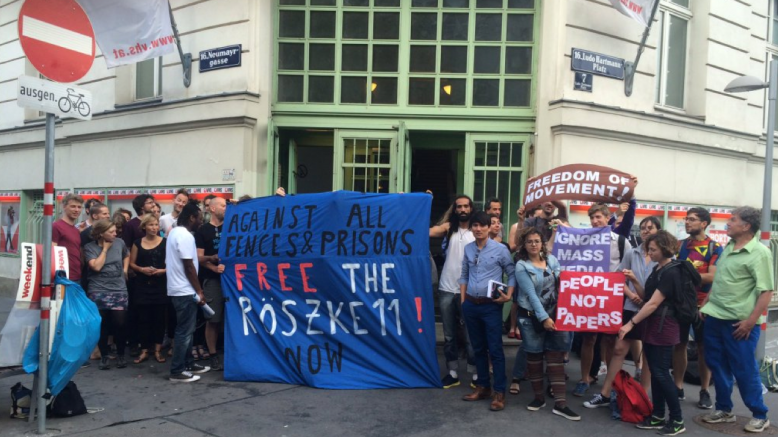 There are 11 people on trial in Szeget, accused by the Hungarian government for participation in “mass-riot”. 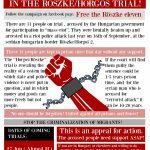 They were brutally beaten up and arrested last year on 16th September 2015 at the Serbian-Hungarian border Röszke/Horgoš 2. This occurred after the fence was completed and the border was closed. 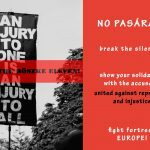 Around 5000 people were protesting and demanding safe passage to central Europe. The 11 people accused are kept in prison since that day. One of the accused Ahmed H. has been constructed as the “leader” of the protest only because he was seen talking with a megaphone. He is accused for a “terrorist attack”. His trial will be held separately. At least three of the accused are especially vulnerable persons. One is a 64-years old, half blind woman, another person is disabled and in wheelchairs. Both of them were injured in the war in Syria. It is clear how ridiculous it is to frame these people seeking safety and protection in Europe as a “threat“ to the Hungarian state. 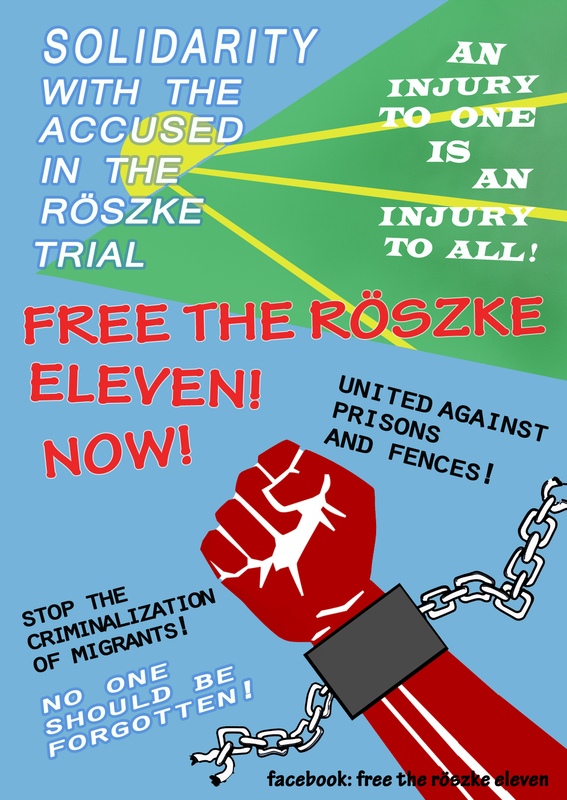 We call for international support and media attention for the #roeszke11 trials. The trials will be held in Szeget, Hungary on the 27th of June (Ahmad H.), 29th June, 30th June and 1st July 2016. 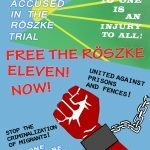 The Budapest Beacon: What really happened at Röszke? 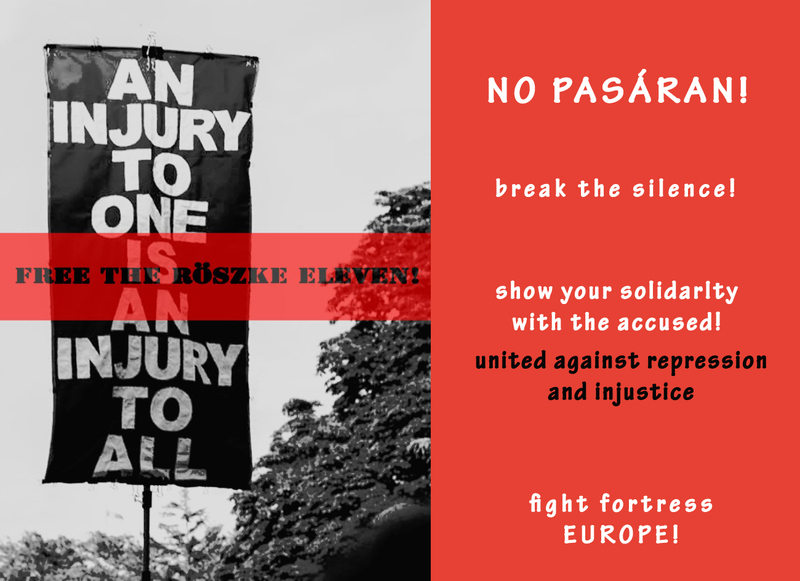 At this event in Budapest, Tamás Fazekas, the attorney of the Hungarian Helsinki Committee will talk about the case.